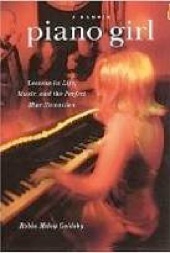 It is said that authors should write about what they know, so who better to write about working musicians in Manhattan than a musician who played the piano in New York's finer hotels early in her career? 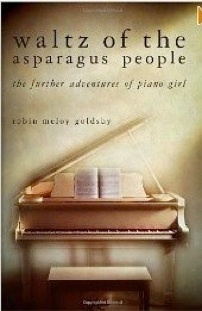 All thirteen of the short stories in Manhattan Road Trip are told with same abundance of heart and humor as Robin Meloy Goldsby's three previous books: Piano Girl (Goldsby's autobiography), Rhythm and Waltz of the Asparagus People. Many, but not all, of the musicians featured in the book are women, and the age of these wonderful people varies widely. Anyone who has ever performed - be it a student piano recital, a high school play, or a professional concert, etc. - is aware of the multitude of unknown factors that come into play in a live situation, and some of those factors play a very big part in these stories - on and off the stage - including a faulty hand-bell clapper, falling giant rodents, malfunctioning shoes, etc. (Those who have never performed or prepared to perform or hoped to perform will find Goldsby's insights very enlightening.) The stories also illustrate what many musicians must do to bring in enough income to keep food on the table and a roof over their heads - again, with poignance and humor. 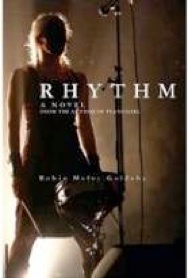 Whether you are a musician or not, Goldsby's storytelling is spot-on, full of empathy, and a delight to read. Most of the stories are fairly short - perfect at lunch, break-time, or a quick pick-me-up. 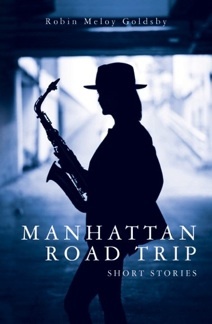 I highly recommend Manhattan Road Trip! Note: Ms. Goldsby generously offered a link to my favorite of the stories, “Rouge Noir,” so if you’d like to read a sample of this book, click here.